Who We Are | ConstructAbility, Inc.
Egon A. Luengo founder and president of ConstructAbility, Inc., has established a diverse portfolio of wide-ranging construction-related endeavors from the plan room to the field and in the boardroom. From start to finish, Egon engages in the pursuit of successful outcomes and does not hesitate to address any obstacles from a risk management perspective. Egon embraces the total project experience from start to finish. With a career history spanning four (4) decades of experience in multi-discipline design and construction firms, Egon is specialized in design/build, construction management, and general contracting services. To any potential client who is faced with the need to renovate existing or build new facilities, Egon is adept at bridging the communication gaps that commonly occur between owners, designers and builders. He has “walked the walk” and “talked the talk” in terms of his history with project development, implementation and completion, and has left his mark on many high visibility projects in the Greater Cleveland area and beyond. 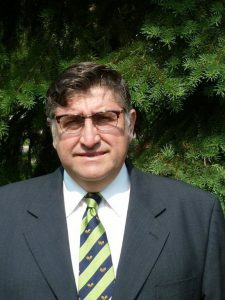 Maintaining deep ties to Ohio, Egon earned his bachelor’s degree in civil engineering from Cleveland State University, and holds certification in value engineering from SAVE International. He looks forward to hearing from you and discussing your needs. 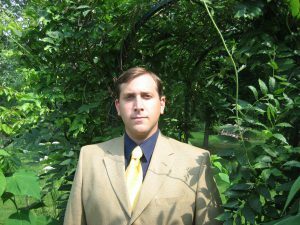 Brett P. Luengo is the chief executive officer and vice-president of ConstructAbility, Inc., who offers versatility to the organization, especially from the financial side of the construction industry. With ten years of industry experience, exclusive of spending his formative years on construction job sites, Brett has learned much about the construction industry and is well poised to help clients navigate through a project’s life cycle. Brett follows in Egon’s footsteps from the standpoint of being passionate about clients seeing successful capital projects. Brett’s core competencies in the field of contract administration help clients manage risk in contractual and financial project processes. He excels in preparing and organizing project-related information that is intuitive and concise. Brett earned a bachelor’s degree in economics from Emory University, but has always made Ohio his home. In addition to his economics degree, Brett also holds industry certification with SAVE International. Brett values community engagement and is a founding board member of Westlake World Partners, a non-profit that supports Sister City programming for the City of Westlake. He also serves as a member of the Community Relations Committee on behalf of the Board of the Musical Arts Association, managing the Cleveland Orchestra.